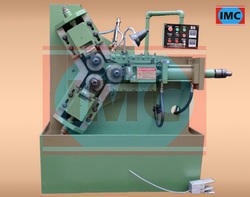 We are offering Hydraulic Threading Machine. 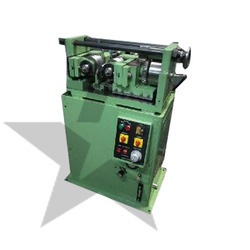 Pioneer in the industry, we are engaged in manufacturing an impeccable range of Thread Rolling Machine. National Cutting Tools are involved in manufacturing and providing Thread Rolling Machine used for generating nails, screws and tools. Thread rolling is a cold-forming function only for exterior nails discussions in an empty. The empty is pushed by line rolling passes away which are connected to the line rolling device. The discussions were established by the pushing improvement. We are an eminent entity engaged in offering an extensive range of quality assured High Speed Trimming Machine.